My friend Melissa and I decided to take a 30 day challenge during the month of February (plus a few days! ), Melissa wanted to work with embroidery stitches and I decided this would be a good opportunity to experiment with the nature prints I have been using recently. We set up a Facebook group which we've called 'FiveBySix Challenge' and asked a few friends to join us. It will be really fun to see how it all comes together! 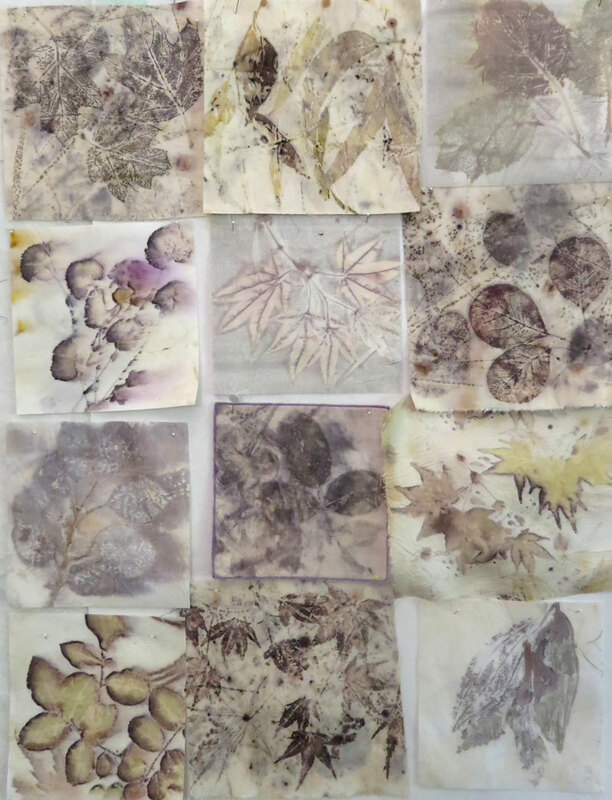 I've been working in batches, experimenting with various silk fabrics, variations in techniques and testing out all the likely plants in my garden and in the local environment. The most likely candidates seem to be deciduous plants and those that have a scent .... so plenty to work with! I'm not happy with some of the prints ... so there are a few more batches planned before the end of the month!! While the 30 days is up soon ... we have given ourselves a month to finish off and work on the presentation. Will post the final result in April.